The safe handling, storage & use of clays, glazes and other materials in a pottery. Kiln safety – electric, gas, raku, wood & smoke firing. The importance of thorough cleaning regimes. 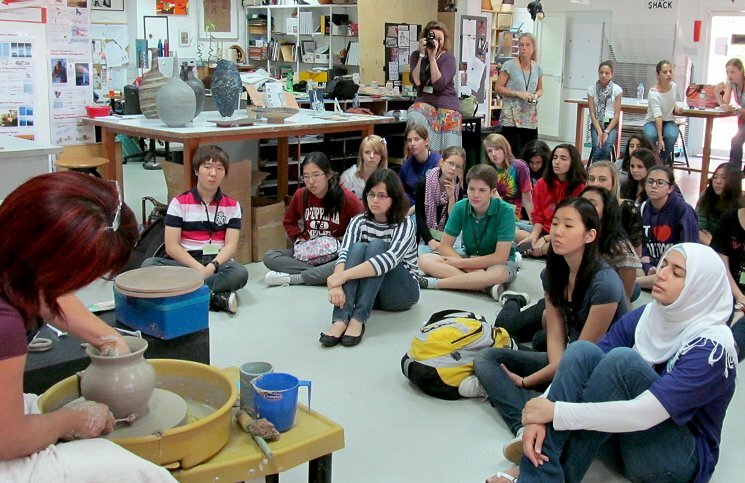 In addition to school group sessions hosted at Abu Dhabi Pottery, we carry out lectures & demonstrations in schools & colleges on the history & practice of pottery & ceramics, as well as any pottery-related topics. The course will aim to introduce the participant to all aspects of making, firing, glazing and decorating of pottery and ceramics and to gain confidence and ability to teach various students. The course will be adapted according to ability and experience of participants. For further details, please contact us.